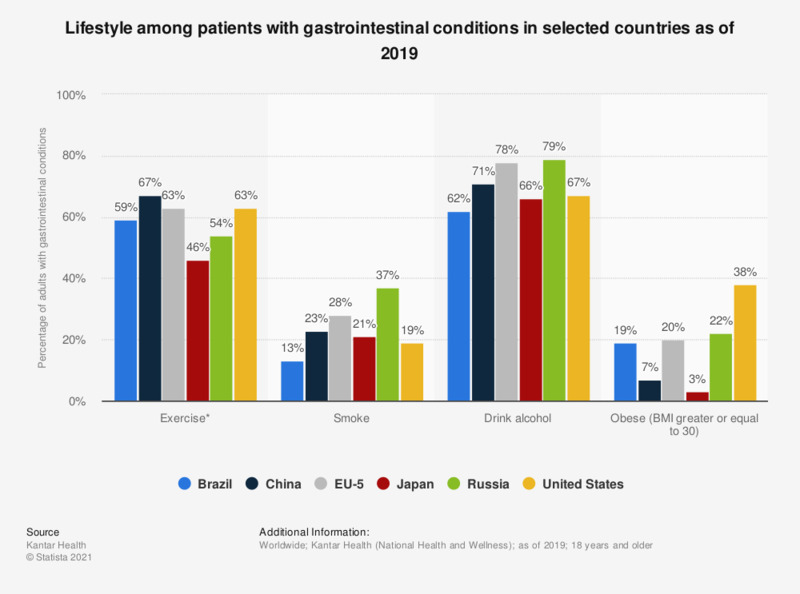 This statistic shows the percentage of adults who self-reported having a gastrointestinal diseases based on lifestyle and habits in selected countries as of 2018. Some 15 percent of the adult population suffering from gastrointestinal conditions in Brazil smoked. * At least one day per month of vigorous exercise lasting 20 minutes or more. Among those who self-reported having a gastrointestinal condition.